Ron Purser Ph.D. is a professor of management at San Francisco State University where he has taught the in the MBA and undergraduate business programs, as well in the doctoral program in the College of Education. His recent research has been exploring the challenges and issues of introducing mindfulness into secular contexts, particularly critical perspectives of mindfulness in corporate settings. Author and co-editor of six books, including Handbook of Mindfulness: Culture, Context and Social Engagement (Springer, 2016) and 24/7: Time and Temporality in the Network Society (Stanford University Press, 2007). 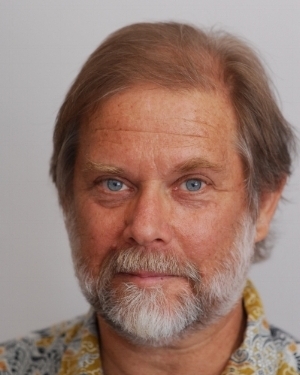 He sits on the editorial board of the Mindfulness journal, as well as the executive board of the Consciousness, Mindfulness and Compassion (CMC) International Association. A student and Buddhist practitioner since 1981, he was recently ordained as a Dharma instructor in the Korean Zen Buddhist Taego order. His article “Beyond McMindfulness” (with David Loy) in the Huffington Post went viral in 2013. Funie Hsu, Ph.D. is an Assistant Professor of American Studies at San Jose State University and a former UC President's Postdoctoral Fellow. She received her Ph.D. in Education from UC Berkeley with a Designated Emphasis in Women, Gender and Sexuality. She has an Ed.M. from the Harvard Graduate School of Education and a B.A. in Asian American Studies from UC Davis. Funie's research and community interests revolve around the general topic of knowledge construction and empire. She is interested in approaching this broad field from a myriad of angles including colonial education and language, American Buddhism and race, Taiwan independence, and critical animal studies. Prior to her academic work, she was an elementary school teacher in LA Unified. She also serves on the board of the Buddhist Peace Fellowship. Since joining the Buddhist Peace Fellowship team in 2011, Dawn Haney has upgraded BPF’s strategy, training programs, and operations. During her tenure, BPF has strengthened Buddhist-informed activism in social movements for racial, gender, and climate justice. She has co-developed trainings for white dharma practitioners to unlearn racism and become better allies for racial justice in their sanghas and communities. A Buddhist practitioner since 2003, Dawn’s social justice work drew her deeper into meditation with a desire to be stronger and more resilient in her work to heal trauma and oppression. Dawn is a graduate of Spirit Rock Meditation Center’s Community Dharma Leaders (CDL5) training program, and finds her spiritual home at East Bay Meditation Center in Oakland, California. You can find her online at www.bpf.org. Rhonda V. Magee (J.D., M.A. (Sociology)) is Professor of Law at the University of San Francisco, School of Law, a teacher of Mindfulness-Based Stress Reduction with a focus on its applications for professional development and enhancing effective communities. She is a trained facilitator of mindful and compassionate communication. She is a Fellow of the Mind and Life Institute. Rhonda’s work is inspired by commitments to compassionate problem-solving and presence-based leadership in a diverse and stratified world, and to humanizing approaches to professional development. She sees mindfulness and compassion practices as keys to personal, interpersonal and institutional or other collective transformation. She is a nationally-recognized thought and practice leader in the emerging fields of contemplative higher and mindfulness- and compassion-based approaches to social justice. Rhonda is the author of numerous articles on mindfulness in professional education, including Educating Lawyers to Meditate? 79 UMKC L. Rev. 535 (2011), and The Way of ColorInsight: Understanding Race and Law Effectively Using Mindfulness-Based ColorInsight Practices, 8 Georgetown J. of Mod. Crit. Race Perspectives 251 (2016). For more information, see https://usfca.academia.edu/RhondaMagee. Dr Peter Doran is a lecturer in law and sustainable development at the School of Law at Queens University Belfast. His research interests include the political economy of attention and wellbeing. His recent work with the Carnegie United Kingdom Trust has led to the incorporation of wellbeing as an organising principle for the devolved government in Northern Ireland. He has worked in parliaments in both Dublin and Belfast, and is a senior writer at UN negotiations on climate change and related issues for the International Institute for Sustainable Development’s reporting services. His forthcoming book on A Political Economy of Attention, Mindfulness and Consumerism: Reclaiming the Mindful Commons (Routledge, 2017) brings together a number of his current interests in political ecology, zen, and the emergence of ‘commoning’ as an integral social movement response to neoliberal forms of late capitalism. Peter has had a life-long interest in zen Buddhism, and practices with sanghas in both the Japanese Soto and Thich Nhat Hanh (Vietnam) traditions. In 2012 he helped bring the Venerable Thich Nhat Hanh to the Northern Ireland parliament where he addressed over 100 politicians and representatives of civil society. He is a life-long activist on environment and peace issues and has been an election candidate as recently as March 2017. Beth Berila, Ph.D., 500-hr RYT is the Director of the Women's Studies Program and Professor in the Ethnic and Women's Studies Department at St. Cloud State University in St. Cloud, Minnesota. She is the author of the book Integrating Mindfulness into Anti-Oppression Pedagogy: Social Justice in Higher Education (Routledge) and co-editor, with Melanie Klein and Chelsea Jackson Roberts, Ph.D., of Yoga, the Body, and Embodied Social Change: An Interesectional Feminist Analysis (Rowman & Littlefield, 2016). She has worked with Off the Mat, Into the World and served on the leadership team of the Yoga and Body Image Coalition for two years. Her current projects merge yoga and meditation practices with intersectional feminism and mindful education to create a form of socially engaged embodied learning. Learn more at http://www.bethberila.com. 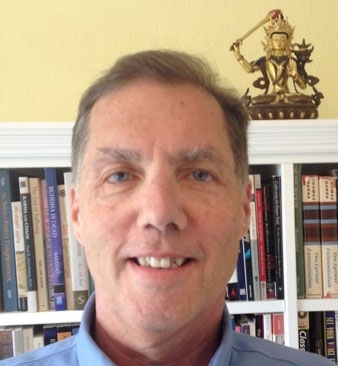 Jack Petranker is the Director of the Mangalam Research Center for Buddhist Languages and the Center for Creative Inquiry, both in Berkeley. A lawyer by training, he has published in the fields of consciousness studies, organizational change, mindfulness, meditation, and psychology, and is the author of When It Rains, Does Space Get Wet? (2006) His current focus is on reintroducing to the contemporary discussion of secular mindfulness the dimension of wisdom. Edwin Ng, Ph.D. is an unemployed author and cultural theorist who is healing from the trauma of a decade of precarious livelihood in Australian academia. Ed at once inherits and betrays multiple, intersecting genealogies as a postcolonial Christian-convert-turned-atheist-turned-“Western Buddhist”-convert. He is seeking the promise of #makingrefuge with others who may be harmed by, or concerned about, the violence of (unacknowledged) white supremacy and cultural erasure/appropriation in contemporary engagements with Buddhism and mindfulness practice. Ed is a self-proclaimed Master of Meowfulness. The main purpose of this grant request is the creation of an innovative workshop program, “Socially Engaged Mindfulness Interventions” (SEMIs) with the objective of developing and disseminating socially engaged and ecological-oriented approaches to mindfulness. These invitation-only workshops will involve leading Buddhist teachers and practitioners, forging an interdisciplinary dialogue withscholars from the humanities and social sciences as well as community educators and activists. This multi-year program will convene two summer workshops with the aim of developing a Socially-Engaged Mindfulness Intervention (SEMI) curriculum. Funding for 2017 will support the first summer 3.5 day workshop in July 2017 at the Mangalam Research Center for Buddhist Languages in Berkeley, California. We intend to apply for further funding from Lenz to support the 2018 summer workshop which would be convened at either SFSU’s Seven Hills Conference center, or at the Ratna Ling Retreat Center in northern Sonoma County. These activities are a continuation of SFSU’s Contemplative Studies Initiative which was successfully launched in June 2015 with the convening of the “Mindfulness and Compassion: The Art and Science of Contemplative Practice” conference. Download and read the full grant documentation here.